The Succulents in this collection will help conjure and bring to life the charming, immersive Magic of your next fairy garden. Let your imaginary run wild by featuring these Succulents in fairy gardens simple or elaborate, indoors or outdoors, or use them in a garden without fairies -- you're the headmaster! Easy Care plants. Low maintenance. Succulents come in 2 1/2" pots fully rooted in soil. Plant measurements will vary as different species grow in different ways: for example, some grow wider, shorter, taller, trailing etc. 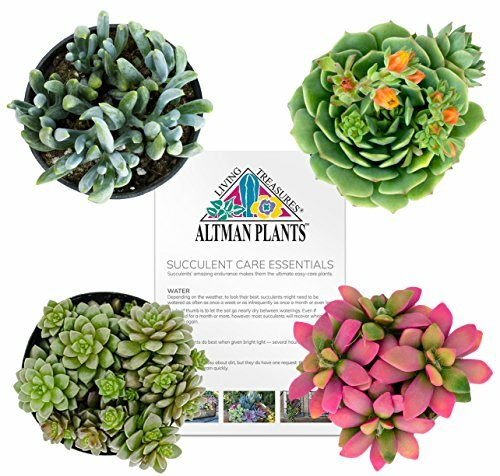 If you have any questions about this product by Altman Plants, contact us by completing and submitting the form below. If you are looking for a specif part number, please include it with your message.